A small air arm for support of the Baltic Fleet was first established during the early 1930s, to operate a dozen or so reconnaissance floatplanes. It was reformed in 1945 as a land-based Naval Co-operation Division of the Air Force, later operating MiG attack aircraft. Personnel wore naval uniforms but operated under air force control. The force was later expanded to include ASW and SAR helicopters. 1945 Naval Air Division re-established. 1995 Naval gains control of Rapid Reaction unit. 19?? Naval aviation gains additional helicopter units from the Air Force. Polish Naval aircraft and helicopters are now used primarily for transport, patrol and SAR duties. Procure up to 14 M-28 Bryza for Maritime Patrol duties. Polish Naval aircraft and helicopters serials comprise a three or four-digit number for each airframe, e.g. SH-2G 248. Naval aviation now comprises a Naval Aviation Brigade with three Squadrons. The main air bases currently used are Cewice/Siemirowice, Darlowo and Gydnia-Babie Doly. In addition to the main bases, there are also a number of smaller airports and airfields around the country which are sometimes used by the Navy. During the ‘velvet divorce’ of 1993, the existing Czechoslovak air force (Ceskoslovenske Vojenske Letectvo) was divided up in the ratio two to one in favour of the Czech Republic, based on population ratio, except for the MiG-29s which were divided equally, and the MiG-23s which all went to the Czech Republic Air Force. Since most of the key air force facilities and aircraft had been located in the portion of Czecholovakia which faced the NATO alliance, i.e. the Czech Republic, the Slovaks initially faced several problems in organising the new air force. These included establishing a new control and communications system, redeploying personnel and equipment to new locations, and upgrading the existing air base infrastructure to cope with the sudden influx from the west. On 1 March 1995 the air force completed the introduction of a western-style organisational structure, featuring Squadrons and Wings rather than the previous Soviet system based on Aviation Regiments. 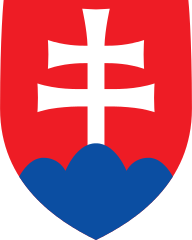 Initially known as Letectva a Protivzdu Obrany-Snej Slovenskej – LVPOS (Slovak Air Force and Air Defence Force), it was renamed to its present title on 1st January 2002. Procurement of 18 multi-role fighter aircraft – candidates are used F-16A/Bs or new F-16s or Gripens. Procurement of 6-10 new trainer/light attack aircraft – candidates include Hawk, L-159, MB339 and M346. Slovakian military aircraft carry four-digit numerical serials, usually based on the airframe construction number, e.g. Mi-24D ‘0101’. None – Manufacturers designations used. he air force was organised into three role specific Wings, each with between two and four Squadrons or Flights. List of Historical Orders of Battle – to be added. The main air bases are Sliac, Malacky-Kuchyna and Presov. In addition to the main bases, some older bases have been closed and there are also a number of smaller airports and airfields around the country which are sometimes used by the Air Force. 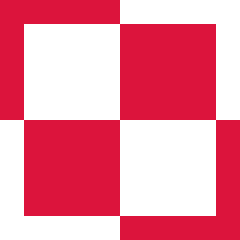 Slovakian Military Aviation Bibliography – to be added. Following the breakup of the Austro-Hungarian Empire, a German-Austrian Flying Troop (Deutschösterreichische Fliegertruppe) was founded as an air policing service, with ex-wartime crews and aircraft. 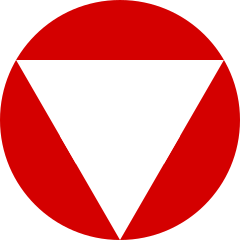 In 1919 the DF was ordered to be disbanded by the Allied Control Commission. On 1 April 1936 the Austrian Republic regained full sovereignty, although it was still prohibited from having any military aircraft. Even so, the Austrian Army quickly set up an Air Force. On 13 March 1938 Austria was incorporated into Germany, and the Air Force merged with the Luftwaffe. On 15 May 1955 Austria was re-established as a sovereign state. The present Air Force was formed in the same year. A replacement for the Eurofighter Typhoon may be obtained, which could also replace the SAAB 105s. Austrian aircraft serials are number/letter codes, where the first combination appears to indicate the aircraft type, and the second combination is the individual identity, eg: AB212 serial 5D-HB. The type codes are reused when an aircraft type is retired. Fighter aircraft (except the Typhoon) use a coloured letter system, where the colour indicates the parent squadron of the aircraft. Ministry of Defence, Hütteldorfstrasse 126, Vienna A-1142. The air force is organised into three Kommando (Commands) – Air Surveillance, Training and Air Support – each comprising one or two Wings with between two and four Squadrons each. The main air bases currently used are Tulln/Langenlebarn, Zeltweg, Aigen im Ennstal and Linz/Horsching. In addition, aircraft are detached from the parent units to another two air bases. In addition to the main bases, there are also a number of smaller airports and airfields around the country which are sometimes used by the Air Force. Austrian Military Aviation Bibliography – to be added. In 1912 the first aircraft was presented to the Swedish Army. An Army Aviation Corps was formed with this aircraft, plus a second example. 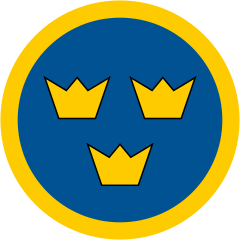 On 1 July 1926, the Army and Navy aviation units were amalgamated into the Royal Swedish Air Force, an independent service. The air force expanded rapidly during World War Two to meet the increasing threat from Germany. Postwar, the air force pioneered the concept of operating jet combat aircraft during wartime from roads and concealed airfields around the country. Introduce JAS 39E Gripen into service. The Swedish military serial numbering system consists of a five or six-figure number, with the first two or three numbers being the aircraft type designation number and the remaining three numbers and individual identity number which normally starts at 001 for each type, e.g. JAS 39C 39230. Details of designation system to be added. The basic operational unit is the Flygflottilj (wing), made up of 2-4 Flygdivisionen (squadrons), each with approx 18 aircraft. Each wing also has an attached flight, a Sambandsflygrupp for liaison duties. The main air bases currently used are Karlsborg, Lulea/Kallax, Malmslatt, Ronneby, Satenas, Stockholm/Bromma and Vidsel. Swedish Military Aviation Bibliography – to be added. On 1 January 1998, a Joint Military Helicopter Fleet was created by the Swedish armed forces, to combine the helicopter assets of the Air Force, Army and Navy. On 1 January 1999 the existing units were re-organised into four battalions for peacetime operations. Acquisition of 24 attack helicopters has been proposed. The Swedish military serial numbering system consists of a five or six-figure number, with the first two or three numbers being the aircraft type designation number and the remaining three numbers and individual identity number which normally starts at 001 for each type, e.g. MBB Bo 105 (Hkp 9A) 09209. Details of Swedish Military Aircraft designation system to be added. The FVHF was organised into five squadrons, but two of these have since been disbanded. The main air bases currently used are Lulea, Malmsen and Ronneby-Kallinga. The main air bases that have been used are Berga, Boden, Malmslatt, Ronneby-Kallinga and Save. 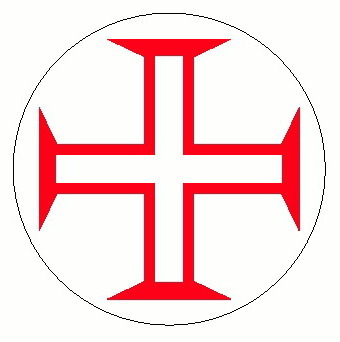 The process to establish a helicopter equipped force for the Portuguese Army was launched in 1991 and the unit was officially formed on 1 June 2000. 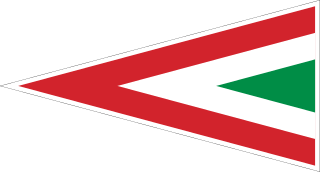 Initially called the Grupo de Aviacao Ligeira de Exercito (GALE – Army Light Aviation Group), it was later renamed Unidade de Aviação Ligeira do Exército (UALE – Army Light Aviation Unit). Army helicopters were to be used primarily for tactical transport, observation/liaison and close air support missions. The order for nine EC635s to serve as initial equipment was cancelled after a contractual dispute. Delays in the development and production ramp-up of the NH90 medium transport helicopter meant the original in-service date of 2008 was not achieved, and with no likelihood of imminent deliveries, the Portuguese government took the oportunity to cancel the order in 2012. Army personnel who had trained as helicopter pilots were deployed elsewhere. In July 2015 the UALE was officially disbanded, as the Army moved to a new organisational struture. 1 June 2000 Army aviation force (GALE) formally established. 1 July 2006 GALE renemed UALE. June 2012 NH90 helicopter order cancelled. July 2015 Army aviation unit formally disbanded. The unit was disbanded in 2015. Not applicable – no helicopters flew in Army markings. It was expected that the service title EXERCITO would be displayed on the fuselage sides. Portuguese army helicopters would have used the same serialling system as the air force – a unique five-figure number for each airframe. No aircraft or helicopters entered service. A number of contracts were placed for helicopters to be used by the UALE, but all were subsequently cancelled. Avendia Leite Vasconcelos 27, Alfagide, P-2700 Amodora. Two helicopter squadrons were planned to be initially formed. All helicopters were to be operated from Tancos. After evaluation of the Kaman SH-2 Seasprite, an order was placed with Westland for 5 Super Lynx helicopters in 1990, for operation from the new MEKO 200 class frigates then under construction. The Naval Air Arm was formally established in June 1992 for coastal SAR and shipboard support duties. The first two helicopters were handed over on 29 July 1993. The pilots and maintenance engineers were then trained on the type by the Royal Navy and Westland Helicopters. The EHM unit which operates the Super Lynx was officially formed in September 1993. It is self contained within BA 6 at Montijo and has no Air Force personnel. June 1992 Naval air arm formally established. July 1993 First helicopters delivered. September 1993 First naval helicopter squadron officially formed. Portuguese naval helicopters are used primarily for shipboard support and coastal Search & Rescue (SAR) missions. An additional 3 Lynx helicopters are required, to bring the total to eight. The main marking is displayed on the fuselage sides only on helicopters. The fin flash is displayed on the tailfin. Navy types carry the service title MARINHA on the fuselage sides. Portuguese naval helicopters use the same serialling system as the air force – a unique five-figure number for each airframe. All helicopters are operated by a single squadron, operating from one main base and onboard several ships. All naval helicopters are operated from BA6 Montijo. The only base used so far is Montijo. The aircraft of the FAP are fully operational. From 1952 FAP serial numbers comprised a four digit number, the first number indicating the aircraft class, the second the aircraft type and the last two the individual identity – Republic F-84G 5121 being the 21st example of class 5 (fighters) type 1. In 1993 a revision to the numbering system meant that the prefix ‘1’ was placed in front of the old serial of existing aircraft as each airframe came up for in-depth maintenance. Avenida Leite Vasconcelos, 27 Alfragide, 2700 Amadora. The basic flying unit is the Esquadra (Squadron). The main air bases currently used are Sintra, Lajes, Monte Real, Montijo, Beja and Ovar. In addition, aircraft are detached from the parent units to another one or two air bases. Portguese Military Aviation Bibliography – to be added. Following Hungarian independence in November 1918, a small air arm was established operating surviving aircraft from Hungarian factories and training schools. This air arm became the Hungarian Red Air Force under the short lived Hungarian Soviet Republic, but was disbanded upon its downfall. Under the Versailles Treaty, Hungary was forbidden from owning military aircraft. However, a secret air arm was gradually established under the cover of civilian flying clubs. During 1938 the existence of the air force was made known. The air arm was reorganised and expanded. On 1st January 1939 it became independent of the army. It subsequently participated in clashes with the newly established Slovak Republic and in the border confrontation with Romania. On 1st March 1942 the air force was returned to army control. In April 1941, operations were conducted in support of the German invasion of Yugoslavia and on 27 June 1941 Hungary declared war on the Soviet Union. In the summer of 1942 and air brigade was attached to the Luftwaffe’s VIII Fliegerkorps on the Eastern Front. From March 1944 Allied bomber raids began on Hungary and progressively increased in intensity. Late in 1944 all efforts were redirected towards countering the advancing Soviet Army, but to no avail. All fighting in Hungary ended on 16th April 1945. A small air arm was organised along Soviet lines during 1947. Following the communist takeover, Russian military aid was stepped-up and a major expansion programme initiated. When Soviet forces invaded in November 1956, to suppress the national uprising, sections of the Hungarian Air Force attacked Soviet forces and resisted Russian attempts to occupy their bases. The resistance was shortlived and the air force was demobilised soon after. A reconstituted air arm was reformed in the following year, but initially only as an internal security force. Gradually, the air force was expanded again, but it remained an integral part of the army and was essentially a defensive force. During the 1990’s all combat aircraft were fitted with new IFF (Identification Friend or Foe) systems to enable operations in western airspace. In April 2002 Hungary joined the NFTC pilot training programme in Canada. The Hungarian military serial numbering system consists of a two, three or four figure number taken from part of the aircraft’s individual construction number, e.g. MiG-17PF 403. Ministry of Defence, Batalon U.7/11,1055 Budapest, V.
The flying units of the air force are organised into a single command, Air Command. The main unit is the Ezred (Regiment) or Osztaly (Wing) with between two and five Szàzad (Squadron) each. The main air bases currently used are Kecskemét, Szolnok and Pápa. Hungarian Military Aviation Bibliography – to be added. The original Naval Aviation force was disbanded in 1960. However, the expansion of the naval fleet in the 1980s, and the development of state-owned off-shore oil rigs in the Black Sea led to demands for better helicopter support. In response, the Air Force introduced specially modified IAR 330L Puma, (and later IAR 316B Alouette III), helicopters for this task. Unfortunately, reduced budgets after the end of the Cold War and the retirement of the Alouettes resulted in this role being given a low priority and by 2001 the Air Force had largely abandoned naval operations. In 2005 the Romanian Navy ordered three specially configured Puma helicopters, with a view to rebuilding it’s aviation capability. 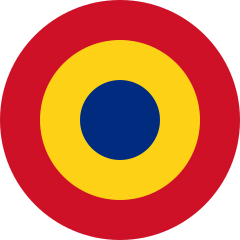 In July 2007 the Romanian Naval Air Arm was formally established. 13 July 2007 Naval aviation resumed using Puma NAVAL helicopters. Romanian naval helicopters are used primarily for shipboard support, surveillance and Search & Rescue (SAR) missions. Additional helicopters may be required. The main marking is carried on the fuselage sides of the helicopters. A fin flash is not carried. The service titles RO NAVY are displayed on the tail boom. Romanian naval helicopters serials comprise a three-digit number for each airframe, e.g. Puma NAVAL 140. False reports of aircraft on order or in service – the Mil Mi-14PL is NOT used. All other types reported since 1960 as being operated by the Navy were actually Air Force aircraft. The Romanian Naval Air Arm currently comprises one Helicopter Flight. All helicopters are operated from Constanta.